Beautiful and elegant cakes for your special day, everyone talks about the cake! Read our blog for our latest news, tips and cake trends. 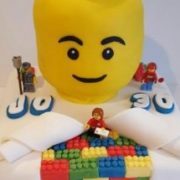 We are a local cake company based in Tamworth, West Midlands; producing high-quality cakes and cupcakes for any celebration including birthday and wedding cakes. If you have an amazing cake idea, let us know! We like a challenge. We took over Jackie’s Cake Kitchen, based in Fazeley, in June 2017. Come and see us at our cake and party shop to see a selection our beautiful creations and pick up all your cake decorating & sugarcraft, balloons and party supplies. People come to us from Lichfield, Sutton Coldfield, Atherstone, Nuneaton and more! We could not have a party without a Quality Cake Company cake! When another cake maker let me down two weeks before my 30th birthday party, The Quality Cake Company stepped in. From that moment things got instantly better. They were extremely professional and even sent me a couple of progress photos the day before the party. The cake arrived looking amazing and was such a talking point with my guests. The added bonus is the cake tasted just as good as it looked. I love their cake creations, and they always deliver way above my expectations!